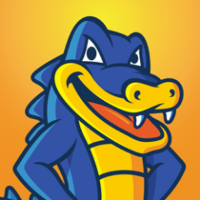 Initially founded in 2002 by Brent Oxley, HostGator soon passed the 200,000 domains mark in 2006. By 2008, they were ranked the 21st fastest growing company. in the United States. They’ve seen incredible growth since, and in 2012 were sold to Endurance International Group. HostGator aim to make their hosting as green as possible, by working with Integrated Ecosystem Market Services. They also offer a 45 day money back guarantee and a 99.9% uptime guarantee. All web hosting plans come with a one-click installer for CMSs such as WordPress, which mean you can have a WordPress blog up and running in minutes!